March is here. That means springtime and Shamrock Shakes. 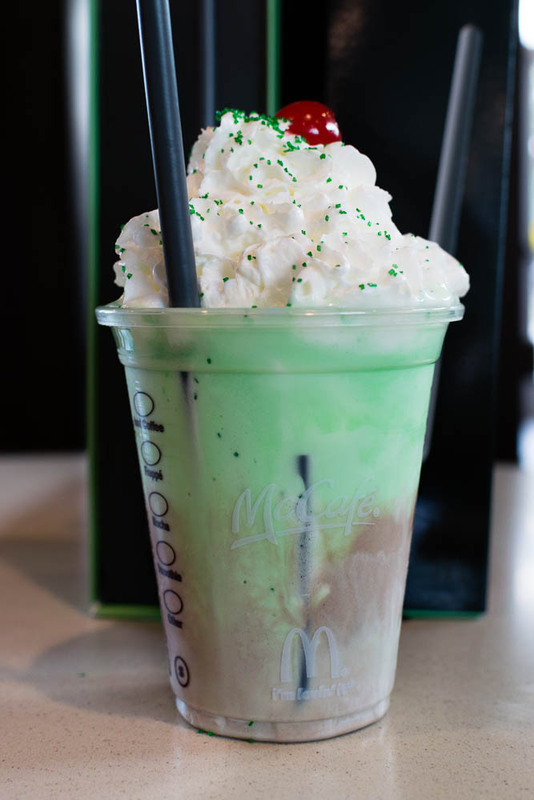 In an effort to up the Shamrock Shake, McDonald’s now offers a Chocolate Shamrock Shake! 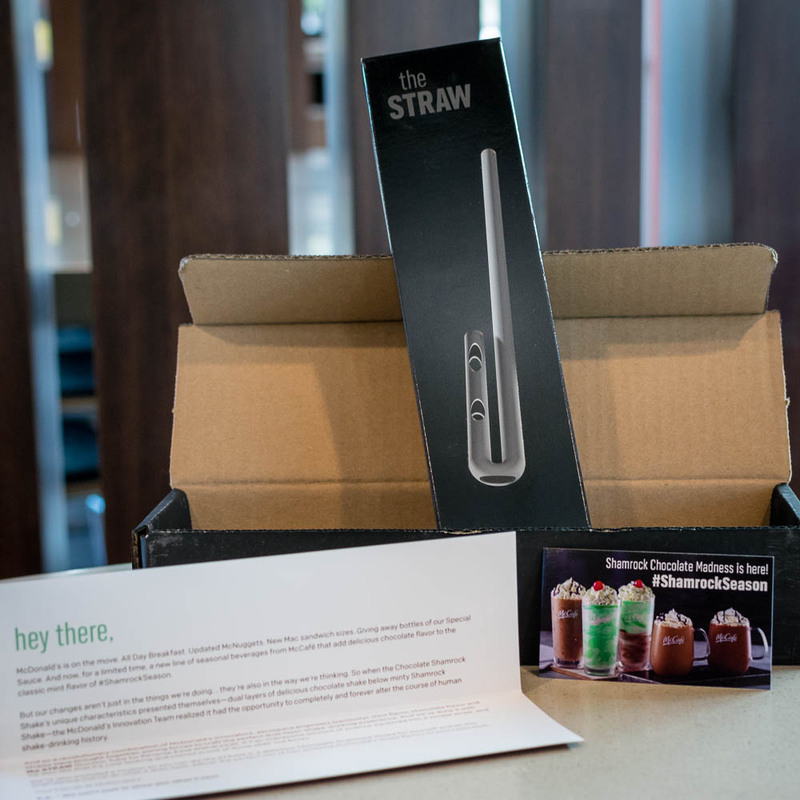 However, this brought out the question, “how can consumers enjoy the perfect sip of this new shake without sacrificing each flavor?” The answer, The McDonald’s STRAW. The McDonald’s STRAW (Suction Tube for Reverse Axial Withdrawl) was designed by scientists and aerospace engineers. The purpose of the straw is to create a 50-50 balance of mint and chocolate flavor with every sip. The McDonald’s STRAW is extremely limited. Only 2000 were made for the entire country! 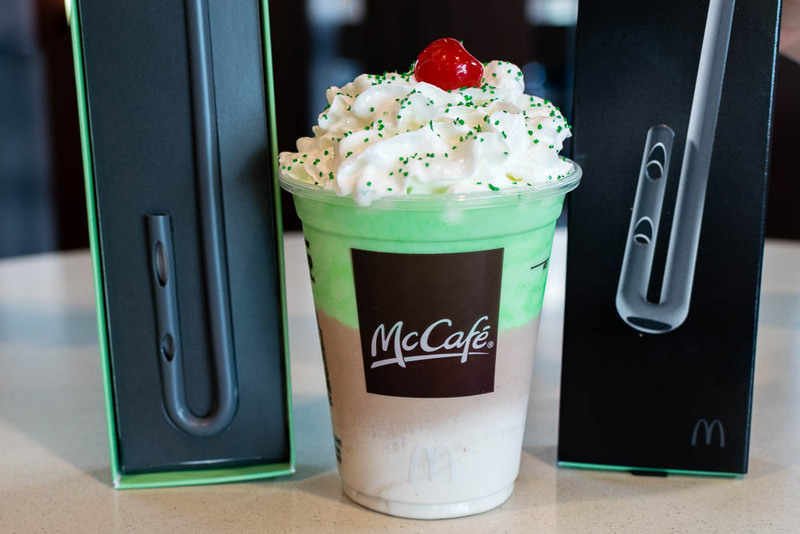 We recently had the opportunity to visit one of our local McDonald’s to try out the new Shamrock Shake with the STRAW. Going in, we were initially very hesitant. How could a straw do what McDonald’s claimed this straw could? Fortunately, it works! Don’t let the haters fool you, it does actually deliver what it promises. Sure it is a bit superfluous, but it does work and was definitely fun to try! Our verdict: It is a lot of fun and while being superfluous, it is still pretty super! Want to get your hands on a McDonald’s STRAW? McDonald’s will be doing a giveaway beginning on Friday, March 3 at 10 a.m. Arizona/Mountain Time and end on Tuesday, March 7 at 11:59 p.m. To enter, individuals should check out McDonald’s Twitter at @McD_Phoenix where they will post McDonald’s trivia questions. Each question is an opportunity to enter a drawing for one of five STRAWs. The winners will be randomly selected. Additionally, McDonald’s wants to reward effort this Shamrock season, so trivia answers don’t have to be correct to count as an entry! *The Geeks were given comped items to facilitate this write-up; We were also provided information about the McDonald’s STRAW. All opinions are wholly our own. View our Disclosure Policy for more info. I’m lucky to have tried the STRAW and found that it totally melded the flavors of the chocolate and the mint! Good luck to those who enter to WIN one! Great blog post! Totally following you all from now on!